I was looking forward to summer all winter long. Now that it's finally here, it's really hot, but it's still better than freezing in the winter! Cooling salads are definitely on the menu on hot weather days. 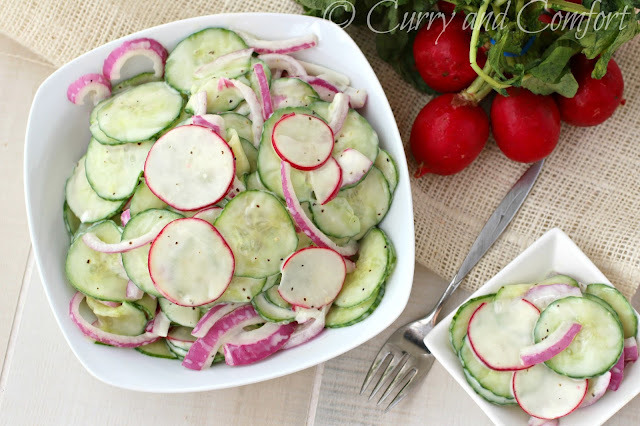 I like to serve this cucumber and radish salad as a side dish along side any meal... especially a spicy curry meal. This salad is truly simple and fresh. 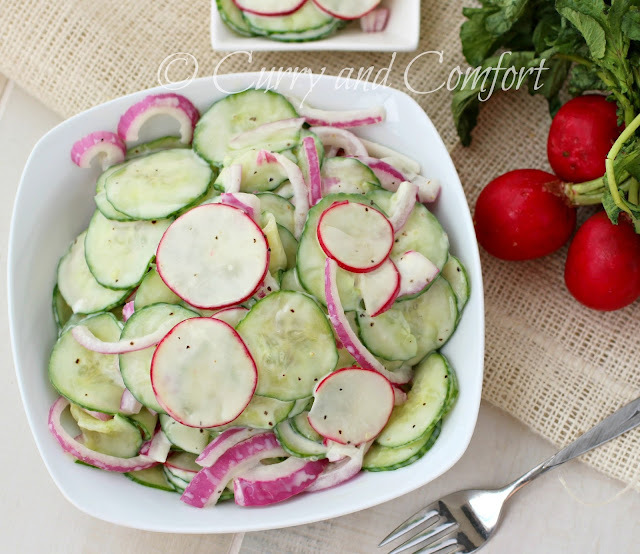 I love the spicy bite the radishes give the cool cucumbers. A salad just isn't a salad without a lot of sliced red onions in my book. So I added a bunch and they completed this salad perfectly. So, if you are having a hot summer... make a salad and cool off. Wash and slice the cucumber, radish and onion. I used a mandoline slicer on the cucumbers and radishes to get really thin slices. Add the dressing ingredients directly into salad bowl. Then add the cucumber, radish and onion and toss well. Served immediately or chill in fridge before serving. Enjoy. My mom used to make use something similar when I was little. I will have to try out this version. It looks yummy! I am doing my best to not complain about the heat since the winter was miserable. I do with it was a perfect 70-75 degrees and no humidity all summer though! We have only had a few hot days but I would enjoy this in any weather. 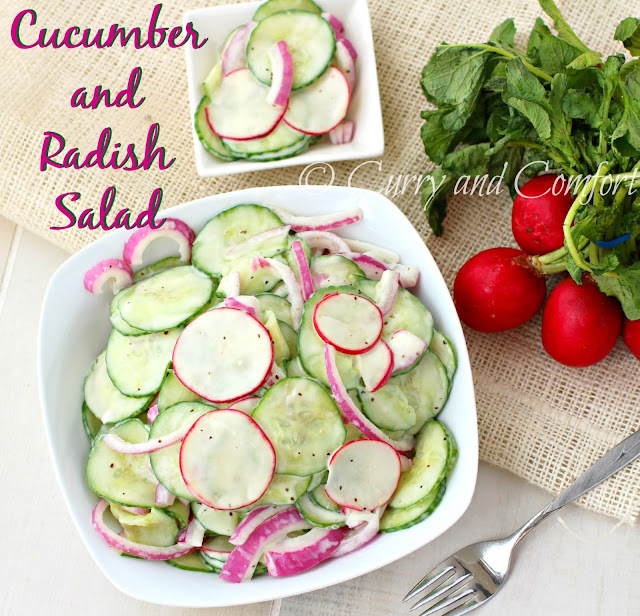 I love cucumber and radish together! I'll be trying this one SOON!